Raasathi Nenja is a song composed by Dharan of Podaa Podi fame, with lyrics by Ku. Karthik. 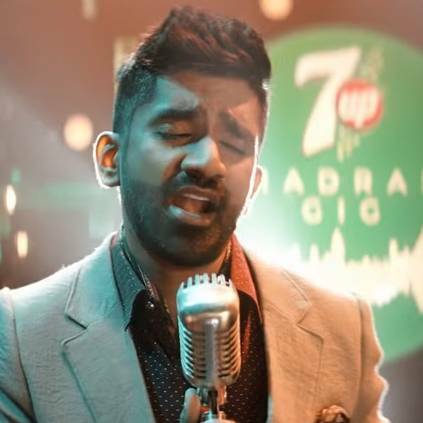 It is a part of the 7UP Madras gig season 2, to promote independent Tamil music. Yuvan Shankar Raja's gifted voice does a lot of things in addition to setting up the mood of the song... His singing is as layered as his musical compositions. While the initial portions of the song are crooned in a bass voice, the pitch increases as the song progresses. The lines "Raasathi Nenja Odaiya Odacha" ends up as a catchy phrase, and rings in your head even if you listen just once. The song creates a sense of moving on from a break up, and also mutually respecting each other, rather than talking behind their backs. A flute interlude kicks around the two-and-a-half minute mark, and it is mellifluous to say the least. Kamalakar on the flute is not playing an instrument, it's more like blowing through the valves in your heart, to create soothing music that can only be felt. That's how well it connects to you. It's almost like him telling you how to feel. Following this interlude, Yuvan's voice sounds more energetic, and the song picks up pace. The pathos is conveyed well, both through the lyrics as well as the tune. It also stresses upon the fact that your first love need not always be the last love. Love is not about being loyal to an individual, but staying loyal to the emotions. It is an universal feeling that need not be attached to a single person. Raasathi Nenja beautifully explains this to us. People looking for online information on Dharan Kumar, Yuvan Shankar Raja will find this news story useful.